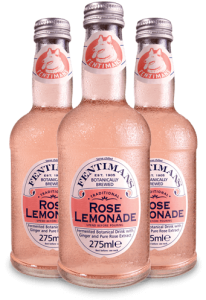 Girl Meets Dress has partnered with Fentimans, to provide every customer that visits the showroom with their delicious botanically brewed drinks. In 1905, Thomas Fentiman, an iron puddler from Cleckheaton, England was approached by a fellow tradesman for a loan. A deal was struck and a recipe for botanically brewed ginger beer was provided as security. The loan was never repaid so Thomas became the owner of the unique recipe. 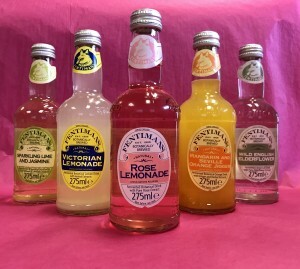 Over 100 years since Fentimans started brewing botanical drinks the business is still in the Fentimans family and is owned by the Great Grandson of Thomas Fentiman. They also continue to make their delicious natural beverages by the multi-stage botanical brewing technique. 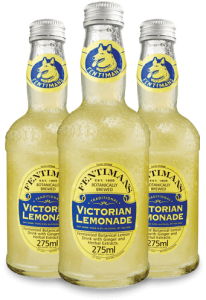 Their processes have been updated and our beverages are now carbonated before being filled and pasteurised to extend the product shelf life. The one thing that has not changed is the superior quality and unsurpassed taste of their drinks thanks to their natural ingredients that they carefully choose. Book a showroom visit by emailing: Showroom@girlmeetsdress.com and enjoy your free sample! Check their website to enjoy the full drinks range! Posted May 3rd, 2017 in Offers & Competitions, Partner, Partner Offer. Tagged: Designer dress, Dress Hire, Fentimans, free drink sample, Free fentimans, Girl Meets Dress, GMD, hire a dress, hire designer dresses, Hire dresses, london showroom, rent, rent a dress, Rent designer dresses, rent dresses, Showroom offer.